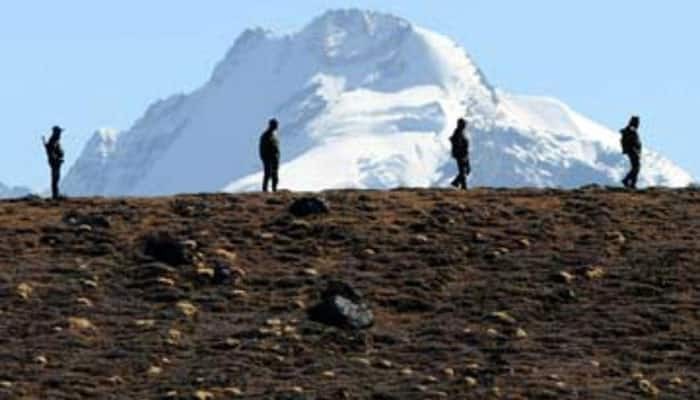 NEW DELHI: Despite the bitter Doklam standoff with India, China is still quietly building up its military presence in Tibet and, according to the latest intelligence report, it has upgraded its military camp under its western command in the region. According to reports, China’s People Liberation Army (PLA) is upgrading one of the civil airports in Gongga in Tibet. Goggan is situated very close to the Indian border. China also has planned to build three new airports in Burang, Lhunze and Tingri of southern Tibet under ‘3+1 project’. As per the Chinese media reports, China will spend almost $2.6 billion and due to be completed by 2021. The dispute between India and China (China) over Doklam may have subsided, but the neighbouring countries are constantly engaged in strengthening defence preparedness in the border areas. ”We are aware of the latest development in Tibet”. said a source working in the security establishment. Where China’s PLA has built several new military camps in the border areas, according to the latest information, intelligence inputs that there is a secret guided missile unit in China’s Yuxi about 900 kilometers away from Arunachal Pradesh. According to intelligence reports, China has deployed ‘622 Missile Brigade’ in Yuxi, which is equipped with guided missiles. China is deploying long-range kill missiles at this new base. If seen, China has already strengthened its Western Theater Command against India and now after the information of the new Missile Brigade is revealed in the South Theater Command, Indian agencies are constantly monitoring this new development. ”Yuxi is close to India and after coming to know about the Chinese missile Brigade, we are trying to understand what the China game plan behind this,” said a source working in the security establishment. Intelligence agencies are trying to gather information about the People Liberation Army Rocket Force i.e. (PLA Rocket Force) 622 Missile Brigade. China has missiles to different ranges, which can destroy any target from 250 kilometers to thousands of kilometers. As per earlier report, China’s People Liberation Army (PLA) has deployed fast patrolling boats at Pangong Tso lake of Ladakh to surveillance border activities. As per the latest Intelligence input, a special water squadron also called as Zhong Dui is garrisoned at Pangong Tso. PLA’s Special squadron is part of its ‘Mountain Top National Gate Fleet’ which is able to carry high tech navigational and communication equipment. The high-speed boats of PLA have the capacity to house 5-7 soldiers at one time. “With the help of special water squadron PLA will be able to move very fast and if any tense situation arises in the future it will help them to respond it immediately. We are analyzing of the operational impacts on patrolling or transgressions in Pangong Tso Lake area,” said an Intelligence officer. However, after the Doklam incident, the Indo China border is peaceful and regular Border Personnel Meeting between both armies has been increased. Soldiers from both sides also performed yoga together at over 16,000 feet in Eastern Ladakh to mark the growing trust. A major scuffled happened in 2017 when Chinese soldiers entered into Indian territory along the bank of Pangong Lake in Ladakh resulting in stone pelting that caused minor injuries to people on both sides.